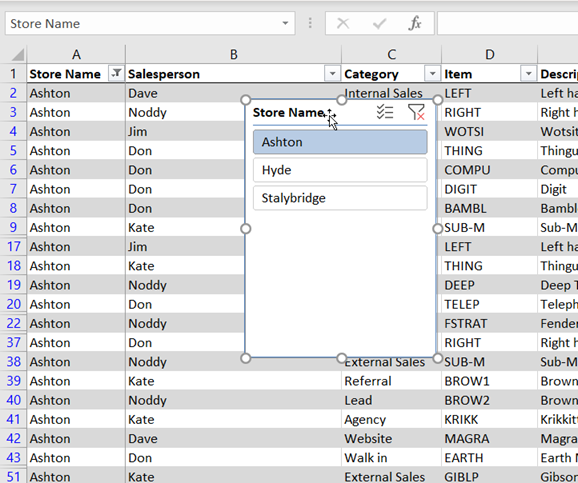 In this Tip, we first remind ourselves some of the basic analysis tools for tables before moving on to discuss Slicers. 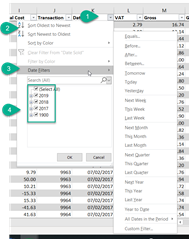 Excel uses the SUBTOTAL() Function to provide the “total” selected as this automatically excludes any data that you have filtered out so the total will always be based on the values that you can see. 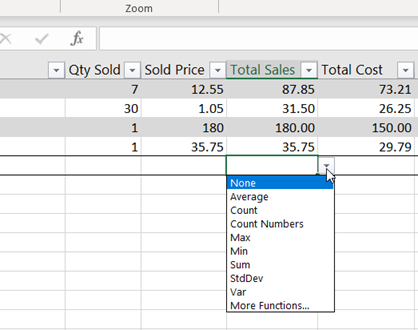 However, as you can see, it’s not just “adding up” that’s possible, maximum & minimum values as well as variances & standard deviations can also be calculated. 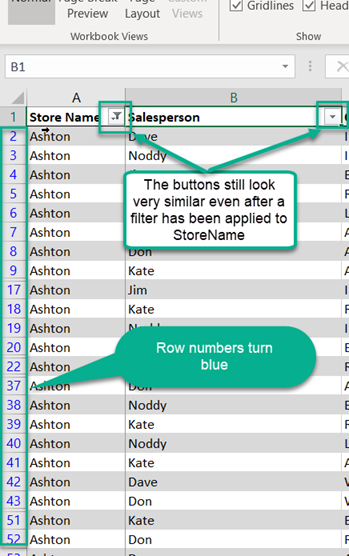 A point to note with the Total Row is that when you add more data into your table, the TotalRow moves down automatically – you don’t have to insert any rows first and, because it’s using the Field Names in it’s calculations, you don’t need to adjust any total formulas, either! 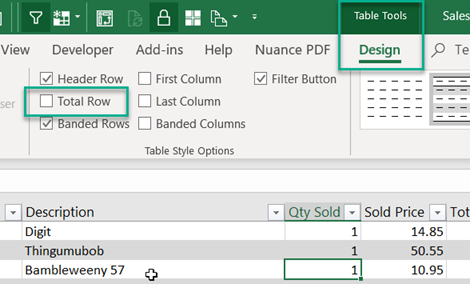 Slicers have been available to use with Pivot Tables since the 2010 release; in the 2013 release of Excel, they were extended to Tables, too. So, what do Slicers offer? From the Table Tools>Design Tab select Insert Slicer. 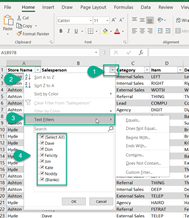 If you’re unable to see these tabs, just check that you’ve actually selected a cell within the table. 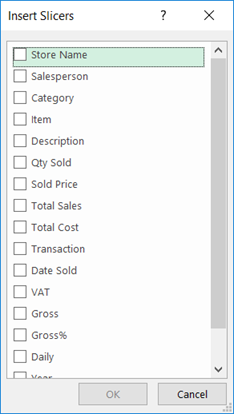 This will then open the Insert Slicers dialog box which lists each of the headings from your table. 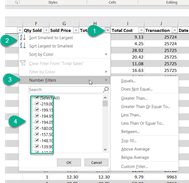 This entry was written by colinfoster, posted on January 22, 2019 at 9:58 am, filed under Microsoft Excel, Tips and Tricks and tagged Autofilter, Slicers, SUBTOTAL() Function, Tables in Excel, Total row. Bookmark the permalink. Follow any comments here with the RSS feed for this post. Comments are closed, but you can leave a trackback: Trackback URL.